Jack has been working at the restaurant for one year and has been an intern since September 2018. He has been working in the kitchen preparing vegetables and sandwiches, using the dishwasher and keeping the place clean as well as supporting staff members. Jack is also working towards an Open Award Level 1 Certificate in Skills for Employment in the Catering industry alongside his internship. His manager informed the team at Heart of Birmingham Vocational College that employment would be considered if Jack could work at the front of the house and given Jack’s ASD and associated communication issues this posed uncertainty over the outcome of the internship. 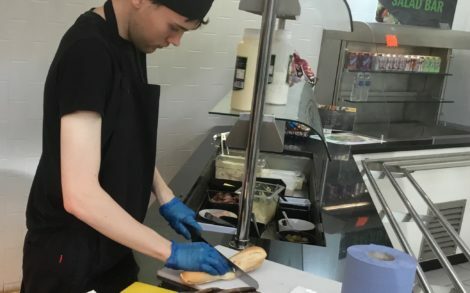 Working in partnership with the employer Jack was set a target of spending ten minutes on the sandwich bar serving a familiar member of staff their choice of sandwich. In addition to this target and to develop his skills Jack also completed a unit on “Developing Customer Service Skills”. Jack exceeded his target by spending the entire lunch service assisting familiar staff as well as contractors and visitors while providing excellent customer service and staying calm under pressure. 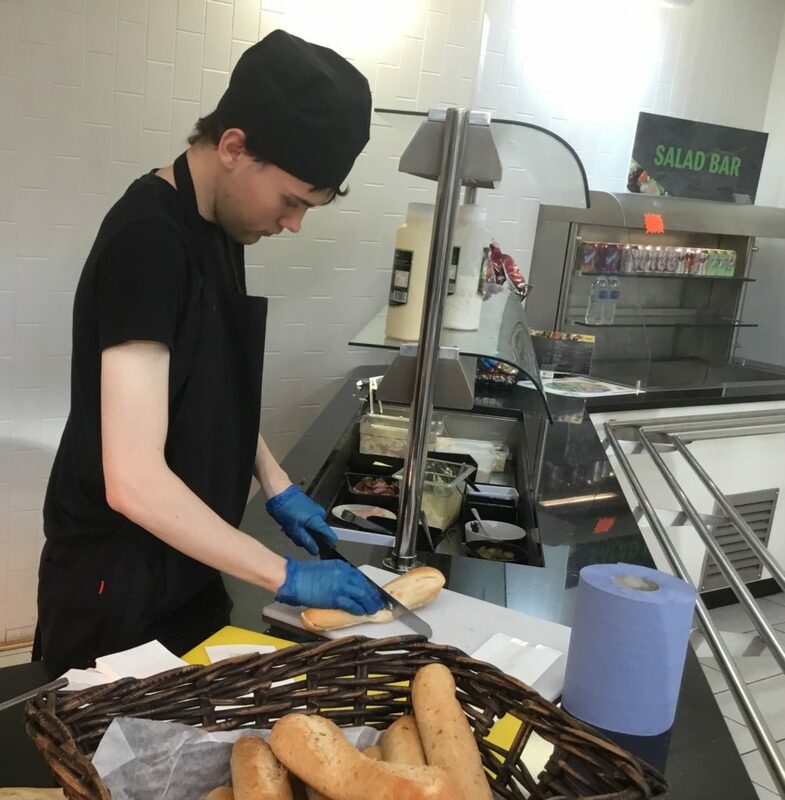 Jack is now running the sandwich bar independently at the Fire Services HQ and in addition to serving staff and students hot lunches in our college restaurant on Fridays, it’s given our own hardworking chef a much-needed break! Well done Jack – what a phenomenal achievement!